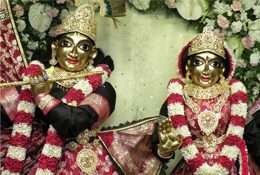 Lord Krishna and Lord Balarama are not two different Personalities of Godhead. God is one without a second, but He expands Himself in many forms. The immediate expansion of Lord Krishna is Balarama. Lord Balarama is as good as Krishna Himself, the only difference being that the bodily hue of Krishna is dark and that of Balarama is fair. Lord Balarama is the source of all spiritual power (bala) which helps one attain the highest bliss of life (ramana) and hence the name Balarama. 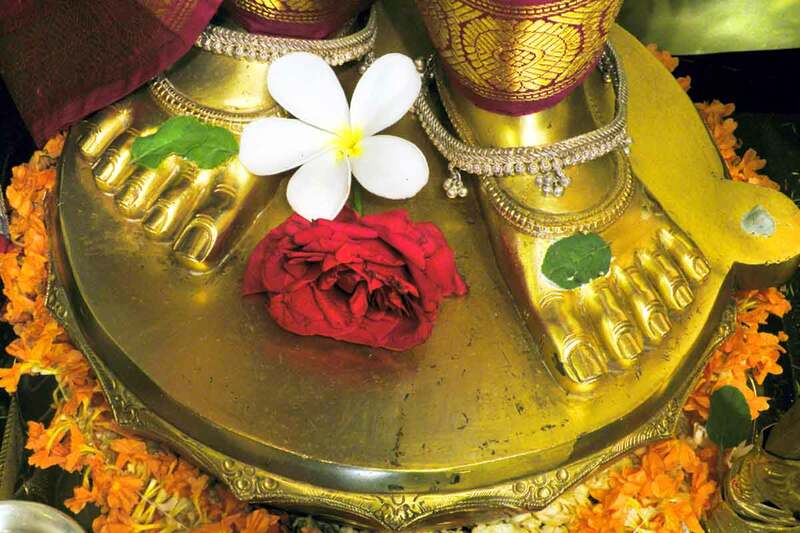 He is the protector of the devotees of the Lord. Without His mercy one cannot approach the Supreme Lord Sri Krishna. The history of Lord Balarama’s appearance is unique. He appeared in the womb of Devaki as her seventh son (the first six sons were killed by her brother Kamsa) and was then transferred to the womb of Rohini. Thus, He is also known as Sankarshana. He lived in the land of Vraja with His brother Sri Krishna and performed many wonderful pastimes. He killed demons like Dhenukasura, Pralambasura, Dvivida and Balvala.